The neck suffers greatly from aging because it is often neglected and no one cares to manage the skin on the neck until visible signs have developed. Many of us are guilty of this and we freak out when we see wrinkles or saggy neck skin. You are not alone! We have found some of the top neck creams on the market today. Tarte™ Maracuja Neck Treatment is a neck cream that is promoted to help women address the look of neck wrinkles and fine lines. This is an important role of a neck cream. As the neck ages, it begins to slacken, thus losing its elasticity, which can lead to wrinkles on the neck. Wrinkles are one of the many visible signs of aging on the neck and jawline. 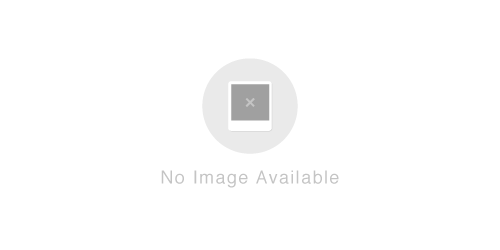 However, overtime the skin can begin to lose its collagen as well. This is the skins support structure. When this becomes weak, other signs of aging may develop. Be sure to elect a cream that helps maintain collagen and elasticity on the neck. 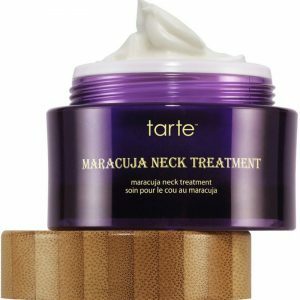 Further evaluation of this product has made us conclude that Tarte™ Maracuja Neck Treatment is also promoted to help firm the look of the neck, but does not claim that it helps tighten the look of skin. Be sure to use creams that offer both benefits. We also noticed that this neck cream may offer improvements in as little as weeks, but only on women with loose neck skin. This formula does not claim it is safe for use by men, as studied were only conducted on women. To see how Tarte Maracuja Neck Cream compares, see the review grid below. For optimal results, apply to clean skin in the morning and evening. Gently massage into skin on your neck and decollete in smoothing, upward motions, starting from the chest and moving up toward the chin. 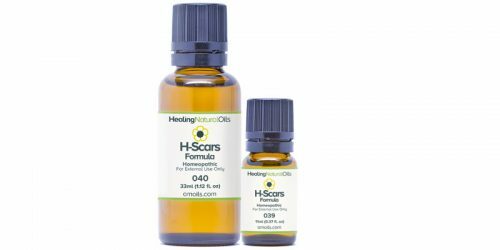 Water/Aqua/Eau, octyldodecanol, glycerin, cetearyl alcohol, butylene glycol, caprylic/capric triglyceride, oryza sativa (rice) starch, simmondsia chinensis (jojoba) seed oil, olus/vegetable oil/huile végétale, PEG-20 methyl glucose sesquistearate, ceteareth-20, hydroxyethyl acrylate/sodium acryloyldimethyl taurate copolymer, ammonium acryloyldimethyltaurate/VP copolymer, sodium polyacrylate, calcium ketogluconate, ethylhexylglycerin, caprylyl glycol, hydrogenated polydecene, parfum/fragrance, xanthan gum, disodium EDTA, passiflora edulis seed oil, trideceth-6, squalane, sodium hydroxide, PEG-8, polysorbate 60, tocopherol, sodium hyaluronate, sorbitan isostearate, pelvetia canaliculata extract, ascorbyl palmitate, opuntia ficus-indica stem extract, ascorbic acid, citric acid, opuntia ficus-indica callus culture extract, dextran, trifluoroacetyl tripeptide-2, phenoxyethanol, chlorphenesin, dehydroacetic acid. According to information published by the manufacture of Tarte™ Maracuja Neck Treatment, the results of this cream were studied on women only. There is no information suggesting this formula is effective or intended for men as well. You can find other neck firming creams on the market intended for all skin types, and for both men and women. Tarte™ Maracuja Neck Treatment does not contain parabens in its formula and it is affordably priced. You can purchase this neck cream directly from its manufacturer for less than $50. We do not suggest purchasing creams over $70 as this may be expensive for some individuals, especially if the cream does not offer the desired results. It appears that Tarte Neck cream may improve radiance, suppleness and the skins hydration. © 2006 - 2019 Top Health Today . All rights reserved.